In "Fortini/Cani", Franco Fortini reads on this terrace long extracts from his essay "I Cani del Sinai" (The Dogs of the Sinai), written in 1967 under the immediate impression of the six-day war. The militant pamphlet against pro-Israeli partisanship and anti-Arab racism in most Western media grows into an autobiographical stock-taking by a communist intellectual who grew up in a bourgeois Jewish family in Florence, witnessed the fascist era and joined the Resistenza during the War. Fortini’s text is the matrix of this film; his voice and his body carry the continuum from the past to the present. 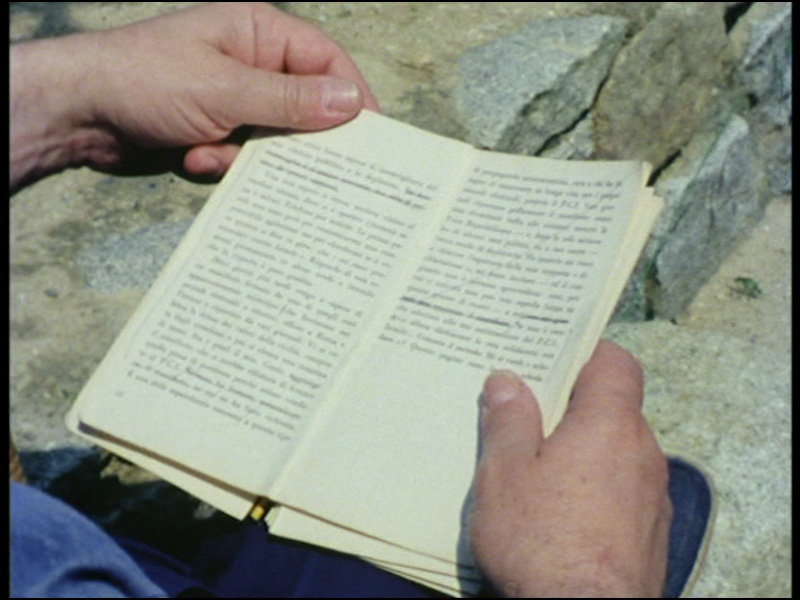 The images, in which Straub and Huillet make the text inscribe itself, show both the presence and the absence of what Fortini speaks about. Places which seem to stand for the past turn into stages for a future, "if someone will come to want it", as Fortini puts it in the text already cited above. Tobias Hering is an independent curator and writer and lives in Berlin. He is co-curator (together with Annett Busch) of the program cycle "Sagen Sie’s den Steinen", dedicated to the work of Jean-Marie Straub and Danièle Huillet, at Akademie der Künste, Berlin, in the fall 2017.